The best way to start a new “season” of Monday Night Raw is to have it emanate from your favourite American city – which is also the hometown of WWE Champion C.M. Punk – Chicago Illinois. Will John Cena gain any revenge for Punk’s assault on Jerry “The King” Lawler and at the same time, momentum going into their WWE Championship match at Night Of Champions? Where is Wade Barrett? Perhaps his comeback? And finally, the reaction for WWE Champion and hometown hero C.M. Punk will be…. Only one way to find out, and that is to read on! The regular Raw video now plays, but no pyro. Instead, Justin Roberts introduces the World Heavyweight Champion, Sheamus. Punk embraces and scans the arena of the “C.M. Punk” chants, then orders Sheamus not to talk to “his” hometown. This is because of the rapport, which C.M. Punk has by being from there, and Sheamus is not. Punk says that while the cameras caught him assaulting Lawler, they did not show Jerry attacking C.M. first. The “Second City Saint” says he was teaching Lawler a lesson for disrespecting him during the Raw 1000 episode, by stating Punk has turned his back on the WWE Universe. So, to foil that accusation, Punk asks his fans if they he has turned his back on them – emphatic cheers ring out, much to the WWE Champion’s pleasure. C.M. says that since John Cena helped Jerry Lawler, bottom line is that he agreed with Lawler and disrespected the WWE Champion for 288 days, and therefore, has turned his back on the WWE Universe. Before the verbal banter can go on, Raw General Manager A.J. Lee enters on to the stage. She decides to book two matches – Alberto Del Rio facing John Cena, and of course stemming from this promo, Champion taking on Champion – World Heavyweight Champion Sheamus squaring off with WWE Champion C.M. Punk. The Heavyweight Champions stare at each other, happily, as A.J. skips around the ring and to the back. Up next, Randy Orton takes on Dolph Ziggler, yet again. (During Dolph’s entrance, they show the result from Friday Night Smackdown!, where Orton defeated Ziggler via an R.K.O., so Dolph wants/gets a return match.) Lockup and a side headlock from Ziggler, plus a high picture-perfect dropkick. Dolph shoots Randy off the ropes, but gets shoulder blocked twice and dropkicked once. Orton now in control, working over Dolph. Springboard suplex by Orton for a two-count, and Dolph starts to comeback now with quick fierce corner punches. Randy comes out of the corner with a short-clothesline, then throws Dolph out of the ring and chucks him into the barricade, twice! Back live, “The Viper” still dominating over Ziggler with 10-punches in the corner, but Dolph counters with a kick-to-the-knee and neckbreaker. He too tosses Randy into the outside wall harshly, but rolls him into the ring for a very close near-fall! High jumping elbow by Dolph, and after another two-count, he locks in a grounding rear chinlock. He uses his athletic prowess to bridge the chinlock, “showing off!” Dolph misses another high jumping elbow, allowing Orton to attempt a comeback, but it is short-lived courtesy of a jumping-running-clothesline by Ziggler for a two-count! Dolph ascends the top rope, but Randy crotches him on the turnbuckle. Uppercut by Orton and a headbutt. A HUGE top-rope superplex brings both crashing to the mat, and Orton makes the cover. 1 – 2 – Dolph kicks out! (Really close!) Momentum is being built from Orton with clotheslines and a powerslam off an Irish Whip! Orton getting into the zone with a backbreaker, but still only for 2! Orton turns around into a jumping DDT from Dolph – 1 – 2 – Randy kicks out! Ziggler is stalking but misses a Fameasser, and gets driven down with a Springboard DDT instead! Orton almost gets the R.K.O., but Ziggler blocks it. He runs at Randy in the corner, who leaps over him with a roll-up, but Dolph reverses it into one of his own, complete with holding the tights to get the victory! It continues…apparently still not “healed,” Kane & Daniel Bryan return to Anger Management classes. This week, the Doctor Shelby has asked his patients to create an “Anger Collage.” Daniel talks about his first, which has the word “no” written all over it. He explains that when he says “yes,” the people respond with “yes,” when he says “no,” the people still scream “yes” louder. Bryan can’t bear it anymore. The doctor is pleased with Bryan. Following the break, Rey Mysterio and Sin Cara will team up again. Rhodes and Cara start out, with Cody kicking him down, until Sin comes back with a springboard back elbow. Rhodes contemplates in his corner to go for a break. Back live, Tensai is now in the ring and dominating over Cara. Rhodes tags in again and kicks away at the masked wrestler in the corner. He covers but for only a one-count. Cody kneels on Sin’s back and pulls him up into a bow-like submission. Rhodes pulls on Cara’s mask and then drops an elbow. Tensai back in, and he gives Sin a clothesline and uppercut. Tensai applies pressure on Cara’s shoulder with his hands, but soon receives a kick out of the corner and an enziguri. Rhodes gets another tag, but so does Rey. He hits a headscissors and a diving seated-senton from the top-rope! Tensai breaks up a later pin, but Rey escapes a Crucifix move, then hits the 619, but gets slammed with a front-suplex by Cody. 1 – 2 – Mysterio kicks out! Rey-Rey counters a powerbomb with a hurricanrana, setting Cody to get hit with the 619 by Mysterio and a top-rope splash by Cara for the 1 – 2 – 3! “Anger Management” is still on, with Dr. Shelby asking the participants to form a “circle of trust.” He wants Kane & Daniel to demonstrate, with Bryan falling into Kane’s arms, trusting Kane to catch him. Daniel gives in and trusts Kane, and properly falls into Kane’s body. Dr. Shelby pushes it a step farther, asking patient Harold to do the same. He also falls, but not into Kane & Bryan, as their arms weren’t waiting. He hits the floor, and Kane and Daniel realize neither was planning on catching Harold, so now they decide that they understand each other. (WHY IS THIS NOT THE MAIN EVENT!!!!?????!!!) Sheamus is out first, as per usual, but C.M. Punk walks out in the same t-shirt and jeans from the beginning of the show. Punk gets the microphone and agrees with me. He says that the Chicago crowd understands that a “Champion VS. Champion” match should basically be the main event of WrestleMania, let alone Raw. So, citing more disrespect at shelling out the WWE Champion at the 8:00 hour and “exploiting” his hometown status, C.M. Punk decides to use what today is – Labour Day. He claims that he is going to make like a lot of people and take the day off work. 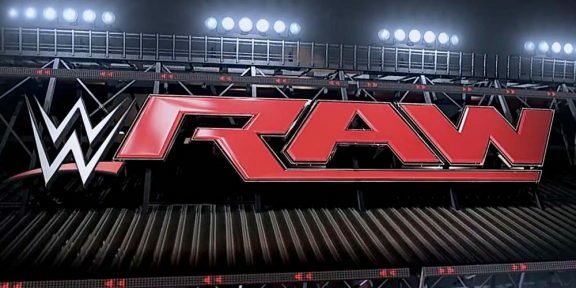 He walks to the backstage area, where Raw General Manager A.J. finds him. She wonders what’s going on and begs him to not leave, but Punk uses one of his “personal days” in his contract and gets in his car and leaves! Raw announcer Matt Striker asks the General Manager what she will do, and she tells him to inform Sheamus to stay in the ring and she will find an opponent. Elbow-collar tie-up and Swagger shoves Sheamus into the corner. He waistlocks the Champion and whips him off the ropes, but Sheamus comes back with a shoulder block. Sheamus soon climbs the top rope and dives off with a shoulder tackle. Jack ducks a clothesline and cuts off Sheamus at the knee with a chop block. Sheamus later kicks out of a Swaggerbomb, kicks Swagger, and clamps on a Texas Cloverleaf Submission for the tap-out! Post-match, Alberto Del Rio (who was on commentary, but said nothing), attacks Sheamus from behind with Ricardo Rodriguez. Sheamus manages to clean house and take down Del Rio with White Noise, but nails Ricardo with the Brogue Kick instead of Alberto. The champion and his challenger stare down to amp up their pay-per-view bout. (Note: Divas Champion Layla is on commentary). Lock up and waistlocks by the women. Kaitlyn with a running crossbody for a 1, then grabs Eve in a side headlock. Hip-toss from Kaitlyn and the two ensue in a catfight on the canvas. After they get up, Eve and Kaitlyn slap hands in sportsmanship, then tangle in some chain wrestling. (What a concept!). Kaitlyn botches another crossbody, appearing injured, so Eve gives her some time, then kicks her in the gut and finishes her off with a Tornado Neckbreaker! Post-match, Eve helps Kaitlyn up and then pretty much forces Divas Champion Layla to shake her hand. Disheartened from his latest loss, Jack Swagger is walking in the hallways and declares to G.M. A.J. that he is leaving and taking some extended time off. She tries to convince him otherwise, using recent superstars Brock Lesnar, Chris Jericho, and now WWE Champion C.M. Punk, as examples of wrestlers that have left her. This was to no avail, as Jack simply says “sorry” and walks off. A third-round of “Anger Management” is up, and it appears to be the final one. Dr. Shelby congratulates all the patients in completing, then invites Daniel Bryan to close the sessions with comments. Bryan thanks the doctor and realizes that he *had* an anger problem, but that is behind him. In fact, Daniel is happy to even give Kane a SummerSlam rematch. Kane stands up and also thanks Bryan, telling him that he accepts the challenge and will try not to destroy him. Bryan disputes this, and they get into a heated discussion, with all the patients leaving and Kane grabbing Daniel’s throat. Dr. Shelby now flips out, screaming at the two that they have learned nothing! Ryback immediately pushes Mahal into the corner, but Jinder comes back and holds his arm in a wristlock. Ryback tosses Jinder off, but Mahal again returns, trying to hammer away. He even boots him and dives off the top with a shoulder tackle! Soon though, Mahal gets caught in a scoop slam and back body drop. Ryback picks him up and powerbombs Jinder, amping up the crowd to “feed him more!” Clothesline and marching Samoan drop polish this one off! The results are in – it is time to “hug it out!” Neither can believe it (I can – it’s called “rigged!”), and both stall for an amount of time, with the crowd egging them on. Kane & Bryan slowly approach, but Daniel won’t, emphatically saying “no, no, no!” Another attempt is made, and Bryan chest-bumps Kane, however referee Mike Chioda enforces the “hugging” aspect. Bryan eventually hugs, but Kane did not, which makes Daniel peeved. Kane does soon hug Daniel, but Bryan didn’t put his arms around him, so this continues until it is full-on togetherness! Finally, they both do a complete hug and a handshake, taboot! A chair makes an appearance via Kane, hits Bryan in the gut with it and then chokeslams him. He wraps the chair around Daniel’s neck and climbs the top rope to dive off, but referees, and Daniel with chair, stop him. Bryan runs away to the back, as Kane looks frustrated again. They lock hands and then Santino slaps Cesaro’s face. He quickly takes him down with a hop-toss and headbutt. He goes for the Cobra shot, but it stalls and Antonio gains control. Huge gutwrench suplex from Antonio and clothesline. Cesaro hits “The Neutralizer” (Cradle Faceplant) to retain his U.S. Title. Slater ducks a punch and grabs Ryder in a waistlock and side headlock. He jumps off the ropes with a forearm but gets slammed down with a flapjack. Slater quickly gets back with a punch and stomps. Heath with a neckbreaker for a two-count, then pounds away. He jives around and then drops a knee on Zack’s face. He punches away in the corner, but ends up getting double-knees and a middle-rope dropkick. Ryder measures him and nails the Broski Boot, but gets thrown off a RoughRyder attempt. Ryder counters another move into a face-slam and then hits the RoughRyder for the 1 – 2 – 3! Post-match, Vickie Guerrero walks out and demands to deal with personal issues she has with Raw General Manager A.J. She will not leave the ring until said issues are dealt with. Guerrero orders a chair in the ring and takes a seat. Vickie is still in the ring, then airs the catfight she had with A.J. from last week. Guerrero then starts talking to “A.J.,” a.k.a the empty chair. The real A.J. walks out and puts and confronts Vickie. She says that her actions as of late have been deemed “inappropriate and juvenile” by the WWE Board Of Directors. She has orders not to put her hands on anyone anymore and apologize. A.J. apologizes again, then Vickie slaps her hard. Lee restrains herself from firing back, so Guerrero provokes her again and slaps er again. She laughs her way up the aisle and skips, just like A.J. A.J. has a complete meltdown, hurling the chair out of the ring and screaming, while falling to her knees. The combatants make their entrance, and David Otunga has announced via “Tout” that his client (Rodriguez) will be taking legal action against Sheamus. A break now happens. Back live, the bout is well underway, with Alberto Del Rio turning John Cena around with a tilt-a=whirl backbreaker. Cena breaks out of a rear chinlock and they trade punches back and forth. Cena kicks Del Rio and runs off, but both take each other down with a double-clothesline. Alberto ducks another shot and brings Cena down with knee-backbreaker. Cena manages to cut-off a flying Del Rio with a dropkick, then gets his usual momentum with his usual moves. 5 Knuckle Shuffle, but Alberto wiggles out of an Attitude Adjustment try. He throws Cena into the steel steps then jumps and double-stomps his chest Cena crashes into the barricade, courtesy of Del Rio, who is soon shoved into the barricade himself. 1 – 2 – Del Rio kicks out! Cena begins to take apart the commentator’s table, but turns into a running enziguri from Del Rio. 1 – 2 – Cena kicks out! Another A.A. is tried, but Del Rio gets out again and runs Cena into the ringpost. Del Rio picks up a chair and takes a swing. Unfortunately for him, he misses and smashes the ringpost. Cena tosses Del Rio over the barricade, then brings the steps closer to the announce table. Cena now carries Del Rio on his shoulders, walks up the steps, but ends up collapsing the in the table with Del Rio, who fought out of the A.A. and drove him through with a backdrop. 1 – 2 – kickout by Cena! As Alberto is kicking away at Cena in the ring, he has a microphone and proclaims that Cena, the WWE roster, and Chicago is beneath him. (Nice touch!) He then threatens that he will break Cena’s arm, but of course, Cena rolls through and manages to lock in the STF. Del Rio manages to escape by smashing the microphone on Cena’s head (again, nice touch! ), but Cena ducks and Alberto runs through the ropes. Cena follows to the outside, but gets suplexed on the steel ramp. 1 – 2 – Cena kicks out! As they fight near Del Rio’s ride, all I can think is “bye-bye car!” Cena looks at the car, then the camera, thinking exactly what I was. He picks up a speaker but can’t use it because Del Rio kicks him. They now brawl into and all around the backstage area. Cena finally hits the A.A. on Del Rio, but before he can cover, a kick from behind by WWE Champion C.M. Punk knocks him out! Punk then puts Alberto on top of Cena for the victory! C.M. Punk gets in the back seat, and holds the Championship high, with the car driving off. The driver pokes his head out looking over Cena, and to a sincerely nice twist (and shocked crowd reaction), the man is revealed to be….Paul Heyman! Excellence: All the promos, especially of course WWE Champion C.M. Punk. Really love that he continues (and the writers) play up the “respect” for the Champion and Championship angle, especially tonight with him walking out on his mid-card match, that SHOULD’VE been main-event. Again, this does two things: #1 – truly puts over WWE Champion C.M. Punk and his desire/respect for this business, and #2: puts over the WWE Championship as being the most important prize in this business. Great match between Ziggler and Orton, and YES, YES, YES, for Ziggler actually winning it! He needs to continue to win so he can be a credible threat when he actually does cash in his Money In The Bank contract for the World Heavyweight Championship. Again, awesome “Anger Management” videos and really showed both the range and chemistry Daniel Bryan & Kane have together. Although I felt the end result (“hugging it out” was too long), they should still work well and look forward to their continuing feud. As mentioned above, some actually decent wrestling from Kaitlyn & Eve – way to go women! Liked Swagger walking out too – I think he does need to be restarted and having him realize that he is better than this, makes him want to come back more hungry, and hopefully dominant again. The main-event. Was a very cool match, since when was the last time we saw a *true* Falls-Count-Anywhere battle? And of course, the divulging of an alliance between WWE Champion C.M. Punk & Paul Heyman. (truly didn’t see that coming!) These two men know the business like the back of their hands, how to work the crowd/cut promos, how to make it real, and will make a new great angle together. This will be EXCELLENT! Bogus: Not caring for the re-hashed Cody & mask storyline, especially since it was only a year ago! While a great wrestler and great on the mike, Intercontinental Champion The Miz was really not that great on commentary. He was too quite at times, and way too loud at others, often distracting me from the actual match in the ring, especially his verbal spout with Divas Champion Layla during Kaitlyn/Eve. Where was any of the actual tag-teams and most importantly, Tag-Team Champions Kofi Kingston & R-Truth? Why all of a sudden is Ricardo taking action *now* against Sheamus for Brogue Kicking him? He’s taken the move plenty of times before! (This doesn’t really make sense). Not really sure right now about the whole A.J. meltdown – I wish they hadn’t gone this route, I was hoping they would’ve kept her straight down the middle and a fair/justifying General Manager. All in an all, an excellent episode of Monday Night Raw, and I am truly giddy/can’t wait to find out the relationship between WWE Champ C.M. Punk and Paul Heyman! Until next week, as always, Be Excellent Wrestling-Online Readers and Wrestling Fans!